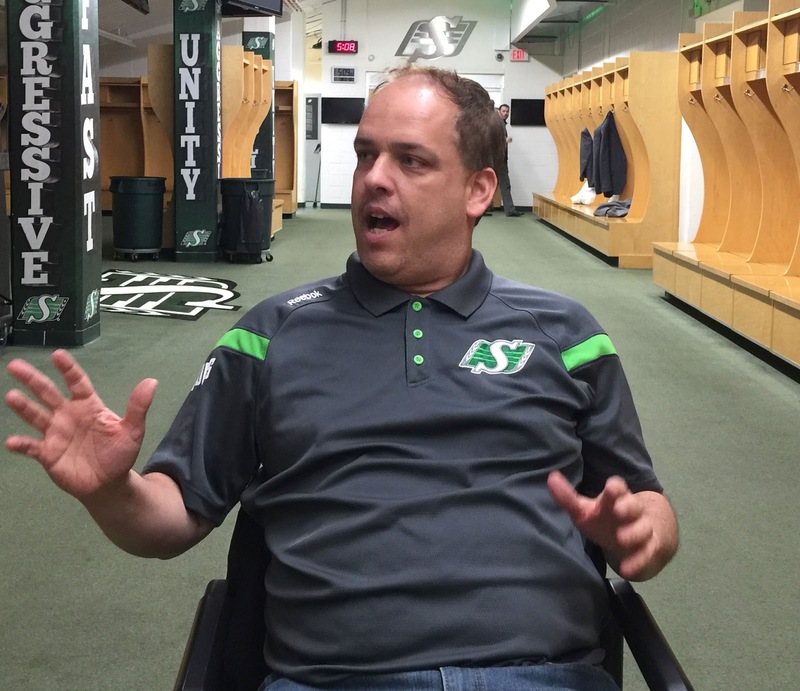 Saskatchewan Roughriders Assistant V.P. of Player Personnel John Murphy appeared on 620 CKRM's SportsCage on Tuesday to discuss the team's free agent signings of import offensive tackle Derek Dennis and non-import tailback Kienan LaFrance. "We knew right away the guys that we were going to go after," Murphy explained. "We knew what it would take for those guys to look in our direction and do it early both for themselves, and for us so we knew which direction we could go with other guys. "We expected a big flow early on with the big names and then a quiet afternoon and some guys are taking the night to look at offers. We wanted to get out of the first part of the day with a quality offensive lineman - either on the right side or left - and then get a quality Canadian to help with the ratio perspective. "We wanted someone who could compete at running back regardless of nationality and I think that's what Kienan wanted too. I think you saw at the end of last season that he's somebody who's very capable and he had that big Eastern Final against Edmonton plus 10 special teams tackles last year and he's a downhill runner. We played our best football last year when we had the wide open weapons at receiver and tag-teamed it with a healthy Joe McKnight and Curtis Steele running between the tackles." Murphy said they're starting to build a quality stable of tailbacks, the majority of whom are Canadian. "With Daniel Thomas, Greg Morris and now LaFrance, it gives us the chance to have a ratio thing," Murphy continued. "But when you can get on the phone with a free agent and already have a good relationship, the likelihood of getitng something done is that much more clear. Derek's agent could step out of the way and once Derek heard what he needed to from us, he could then make the decision and tell the agent to just do the deal. "There was a lot of other interest in him - and rightfully so - but at the end of the day, when you know you want somebody and you have money to spend, it would've been a very disappointing day to not get who we wanted." 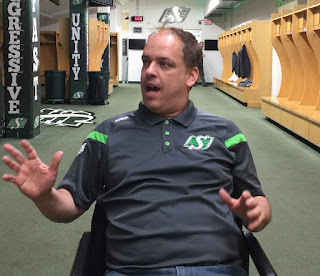 Murphy also hinted that Day 2 of CFL Free Agency on Wednesday should be another big day for the Saskatchewan Roughriders and he plans to come on the radio to further discuss their moves. Well, I've been critical of Jones and Murphy regarding player personnel in the past so I guess it's only fair to say that so far I like some of the moves that they're making so far this free agency. Signing Dennis to a 3 year deal is a real coup and Lafrance should be a serious upgrade and cheaper than Chambers considering the Riders appear deep at receiver(yes, I know they play different positions. If reports of the signing of Ryan White are correct that's another good depth pickup. I still hope they focus on the o-line and some Cdn content but so far so good. An interior d-lineman is also on my wish list. Looks like they have added these guys as well. It's easy to sign free agents when your roster has so many holes. How many free agent signings from last year are still with the Riders? I've been hearing Chris Best is done. Waiting for another surgery. Not in the plans although he might get that token IR list for the year and get paid. What do you know Rod?